"This card provides voice compression channels for use with VoIP calls, SIP trunks and IP-based voice networking. The actual number of channels provided is controlled by the VCM Channels licenses entered into the IP Office 500 system configuration. This VCM card has 4 VCM channels enabled by default. Further channels can be enabled up to the maximum (32) through adding one or more licenses (available in 4, 8, 16, & 28 channel increments). 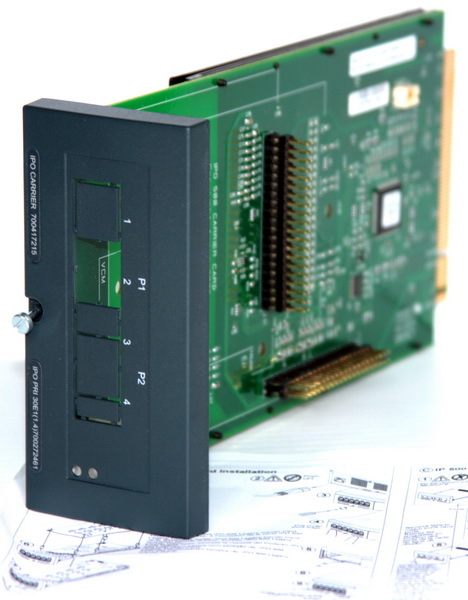 This card can be fitted with an IP Office 500 daughter trunk card, which uses the 4 RJ45 ports for trunk connections. This card accepts one IP Office 500 trunk daughter card of any type. Compatible with AVAYA IP Office IP400 and the AVAYA IP Office IP500 System Unit Only"
Replacement price on this unit is approximately AUD$1100.